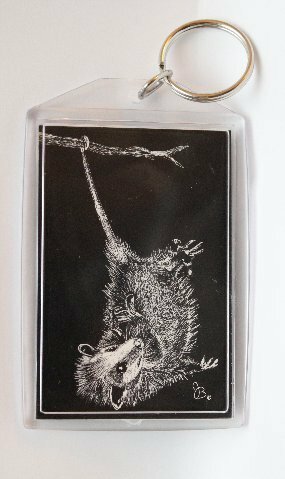 Acrylic Opossum Keychain showing juvenile opossum hanging from a tree branch by its tail. This sturdy key chain is clear acrylic over a black background and measures 2″ X 3″. 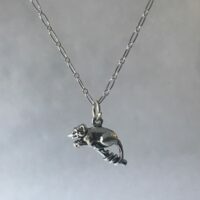 It depicts a black & white juvenile opossum hanging from a limb by its tail. 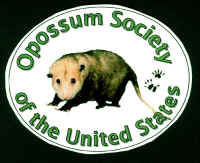 The reverse side shows the OSUS web address.